For some reason peanut butter sounds like “Fall” to me? I always seem to make peanut butter cakes or cupcakes or pies in the fall. I got this recipe from a friend when I was in high school, but I haven’t fixed this dessert since my KIDS were in high school, quite frankly because I end up eating more than I should because they are just THAT GOOD. Good luck at your attempt to take all of them to your tailgate! 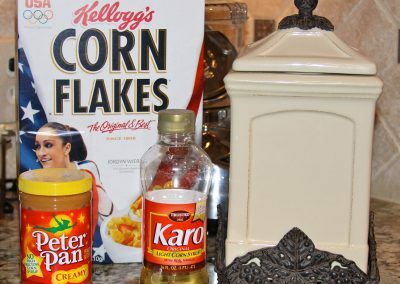 It’s a super easy recipe, but trust me, the clusters will be GONE in no time. 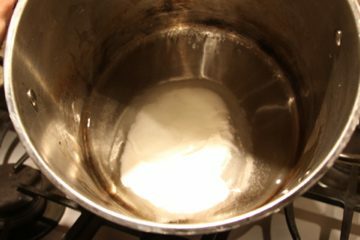 In a large pot, cook syrup and sugar (stirring) until mixture comes to a boil and sugar is dissolved. Stir constantly; do not overcook. 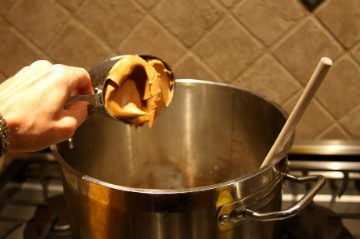 Remove from heat, add peanut butter, and stir until smooth. 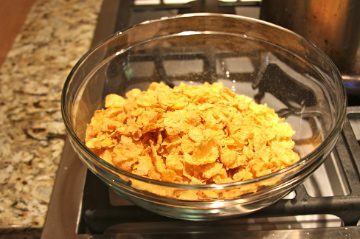 Pour mixture over cornflakes in a large bowl. Working fairly quickly, mix until cereal is thoroughly coated. 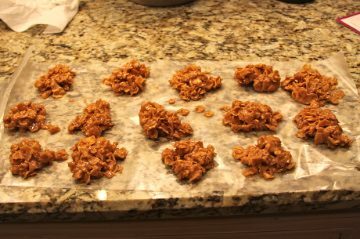 Then drop in large clusters onto wax paper to cool. Makes about 20 clusters. 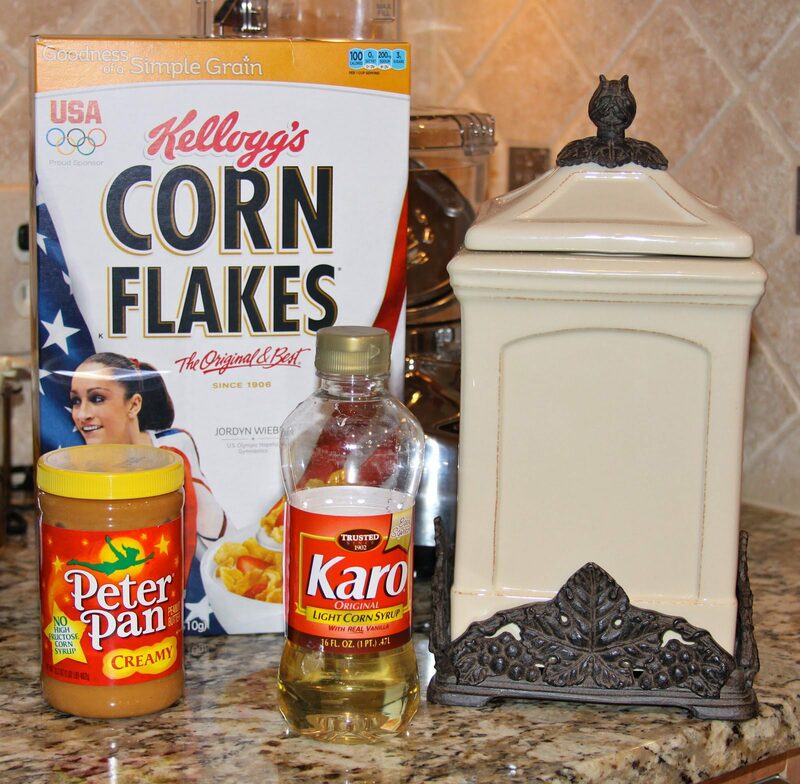 Store in an airtight container and transport to your tailgate!